Get Listed! 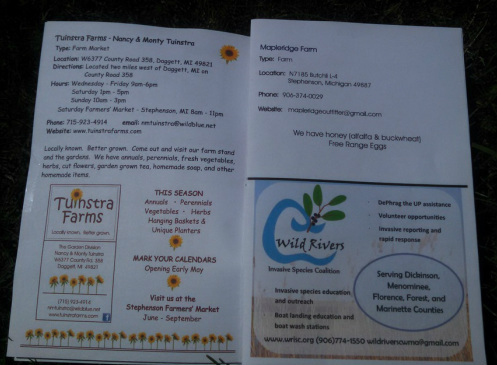 Local Food & Farm Guide - going to press! We think Menominee County has great things to offer and we want everyone to know it! We will be offering an annual local guide highlighting some of these places. You can showcase your farm or business-$65 one third page, $100 half page, or $185 full page ad. 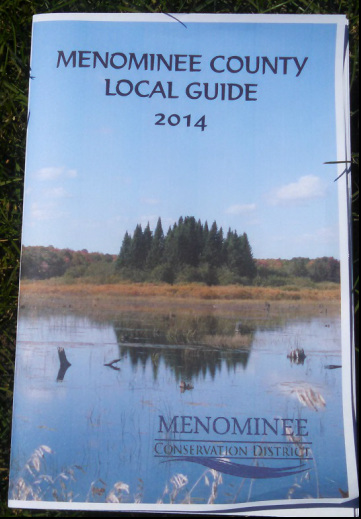 The local guide cover will feature the winner of the Conservation photo contest with the theme ‘The Beauty of Menominee County’. This guide will feature a map to mark your location. Click on link below to download the form to be included in this guide or call Donna at 906-753-6921 if you need more information.